The book starts out with Libby moving in with her mother after her husband unexpectedly dies in a car crash – a “temporary” living arrangement that ends up lasting 2 years. Through a stroke of luck, Libby and her two children move out onto her Aunt’s farm in the middle of nowhere. This is where the real fun begins! This book really struck a cord with me – not only because I spent a year living on a farm myself, but also because Libby starts out as a clueless city girl, and ends up really loving life on the farm. The simple pleasure of doing things for yourself – cooking dinner from scratch, cleaning up after the animals, feeding and caring for them – really keeps life interesting! It really made me look at my own life and appreciate the simple things – reading a book, instead of watching tv. Just being outside instead of sitting at a computer. I would recommend this book to anyone who needs a “vacation” from the average read – something that holds your interest and is a great escape from the mundane. The perfect description of this book actually comes from the book itself – “It was pure whimsy … each thing you noticed seemed like the best – until you noticed the next thing.” This one sentences describes the book perfectly! I was lucky enough to receive an ARC from the publisher in exchange for my honest review. My gosh, how I enjoyed this story! I found myself reading it whenever I had a chance, getting emotionally caught up in the lives of these characters. I also loved the ending – it made me smile. 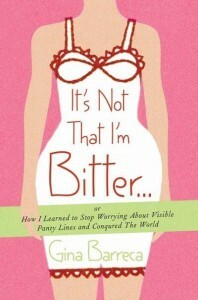 I would recommend this book to everyone – now I can’t wait to read the rest of her books!! I kept picking this book up while I should have been sleeping – so while it wasn’t any good for me sleep wise it sure was entertaining! I had one of these. 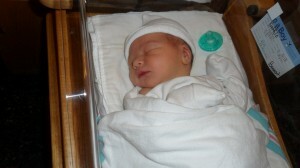 In case you are unfamiliar with it, it is a baby. I promise – this will not become a place to share all of the cute things that Dexter does and share stories of why my baby is the best in the entire world (even though he is). I still want this to be somewhere I can come to share my thoughts on all things reading and knitting related. Which, although I have had considerable less time to do these past 2 years, still is my favorite thing to do besides spend time with Nick and Dexter. So, with that little side note, let me share my recent books with you! This book is the third installment in the Jessica Darling series. We are finally in her college years! Yay! This one was not what I expected. I don’t want to give the book away, but I will say that she goes to school in NYC. I expected lots of fun experiences from around the city, with landmarks and such. Instead, I got a lot of staying in the dorm and coming back home to the Jersey Shore. The story was, as always, entertaining. However, I wasn’t into this book as much as I was her others. I just couldn’t get into the story, and I found myself getting kind of bored with the stereotypical character situations. I think I just may have needed more time in between reading these books. 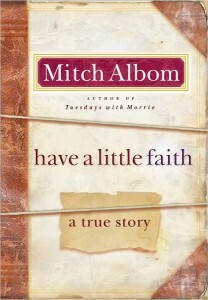 I still recommend this series to anyone who enjoys going back to the “earlier years” in life. If only for a little visit. My husband and I audio booked this one on a long trip down to South Jersey to visit some of our friends. We love listening to stories on long car rides- it makes it feel like a lot shorter ride when you take your mind off of the driving. We were both very skeptical about this one at first- not only was it by Mitch Albom, an author whose book The Five People You Meet in Heaven was not one of my favorites, in fact, I didn’t like it much at all. But he was also writing about religion in this book- a subject that both my husband and I are not too keen on. In fact, one of the other religious books I picked up to listen to on another long car ride was so not his style that we drove without a book instead of listening to that one. So we were not sure what we were in for. We were both pleasantly surprised! This is the story about how one man, Mitch, is able to learn about another man’s life, enough to give the Eulogy at his funeral upon his death. It is a beautifully written and heartfelt story about the hardships of life and how to overcome almost any obstacle that may be placed in our way. Pick up this book, or get the audio version of it- you will not be disappointed. I am not sure if you all know this, but I am an emergency room nurse by trade. I do not mention it often, for it is my “other” obsession- helping people. I love to read other people’s takes on the profession of medicine- whether it be from a nurse, a medical student, or, in this case, a practicing surgeon. 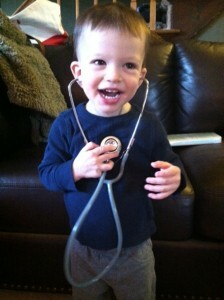 I do believe that as a medical professional, it is important to make your patients have full confidence in your skills. However, there is a fine line between medicine and miracle. We cannot perform miracles- no matter what you may think, we are still human. I sometimes feel that we are trying to play god- we keep people alive by breathing for them with ventilators, we keep their blood pressure up with medications and we keep them alive. 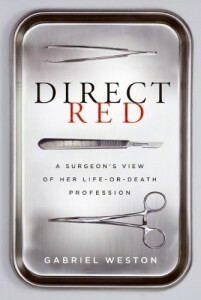 This book portrays the profession of surgery accurately and with much depth. We cannot perform miracles- and only some of the time are we able to fix everything. The only thing that we can hope for is that we do no harm- only good. The author no longer works as a surgeon in a hospital, which she portrays as a never ending merry go round with patients constantly needing help coming through the revolving doors. There have been many times that I, myself, wonder why I still work in an emergency room, where, as I like to tell my husband, I hardly get a chance to sit down for more than 5 seconds without having to perform another life saving task, let alone go to the bathroom. It is a very, very hard job, but I get such a good feeling at the end of a long shift in which I have changed people’s lives. I Am the Biggest Loser. OK, so I know what your thinking- “you don’t have to lose weight! You look great!” I know, I know. 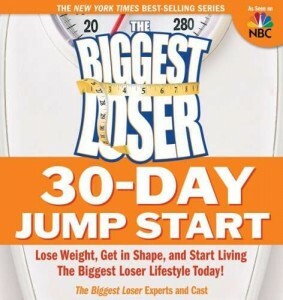 When I started reading this book, I was amazed by the will power of these people- they went from 200-300 lbs. down to a normal size! WOW! I picked up this book from the library and was intrigued by the idea that a person can lose so much weight. I read the personal stories of how they got to be that big, and how all they wanted was to be normal again. I felt sad for these people, and I wondered how one could let their physical health get so out of hand. But then I started thinking about myself- I have always been petite- at 5’3″, I was always considered short. But over the past few years, I have put on about 10 lbs, about 1-2 pounds a year, nothing drastic. But I no longer fit into the clothes I used to wear without difficulty- I used to even have extra room in my clothes! I recently started going to the gym with my husband, and have been going about 3-4 times a week if I cannot get outside to ride my bike or go for a walk (we do long distance bike rides for fun- I know, crazy!). While I am there, I see how many people are there and really trying to lose weight. I give them a lot of credit- it is hard to change bad habits and lose weight. 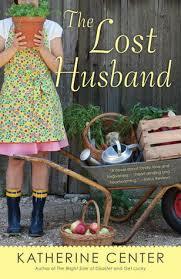 I enjoyed this book more for the personal stories than the recipes, but I did try one of the recipes and loved it! I recommend it- the frozen raspberry sorbet. It is quick and easy to make, and soooo yummy on a hot summer day. 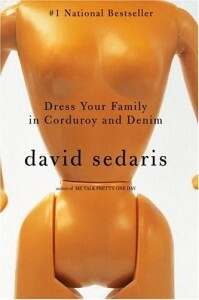 I am officially hooked on David Sedaris. He is hilariously funny, and his books are awesome. Yup, that is my consensus- he is hilarious and awesome. I audio booked this one and was upset when it was finished. His stories entertain me to no end, and his delivery is similar to watching a well rehearsed play- in my own mind, of course. It’s Not That I’m Bitter. I just realized how many amazing books I have read in the past few months. Thanks for reminding me! This book was absolutely hilarious! I first found it on Goodreads as a recommendation from my friends, and when I found it while browsing in the library’s nonfiction section was kismet. I was meant to read this book. So I picked it up and it had me laughing from the start. 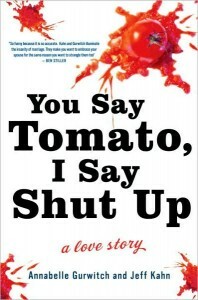 You Say Tomato… I Say Shut Up! HAHAHA! I forgot all about this book! I heard about this book on NPR one day wile, you guessed it, driving to work. As soon as I heard the premise, I knew I had to read it. S I requested it from the library, and then forgot all about it. When I finally picked it up, I didn’t want to put it down. The beginning is absolutely hilarious! It is all about how they got together, and I found myself turning to my husband while reading it and being like “that reminds me of us”! I enjoyed this book more than I should have. But the writing was hilarious. It is written in a he said, she said style- with both authors sharing their version of the events of their courtship and marriage. 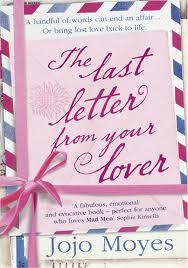 I recommend this book to anyone who has ever been in or who ever will be in a relationship.